Hello Kathy welcome to Books2Mention Magazine. We really appreciate having this time to learn more about you. 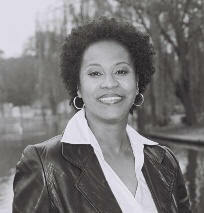 We would like to take this time to congratulate you on writing such a thought provoking read in The Aura of Love. B2M: How does it feel to finally get your book published and to see how well received your work is? B2M: The Aura of Love presents a unique way to address discrimination and interracial relationships. Did you find it a challenge to create such a story? KATHY: Actually, I didn't; it was a lot of fun?work, but fun. When I decided to tackle those issues, I wanted to do it in a different way. I've always loved the paranormal, so I just let my imagination run wild. I knew my characters would need a visual component, similar to our black or white skin, and that's how I came up with the Auralites and their blue or purple auras. B2M: Your novel also highlights how secrets and their revelations can really test relationships. Do you think sometimes by keeping secrets we ultimately make the situation worst? KATHY: I truly believe honesty is the best policy. Secrets have a nasty habit of popping out, and when they do, they generally make things worse. Now, that's in real life, but in fiction, secrets are great because they create drama, and as in The Aura of Love, they can create new situations for the characters. B2M: What sparked your interest in writing a book that would deal with race and class issues? KATHY: I read an article in Essence a few years back that stated more black women were dating outside of the race, and they wanted to read more stories about themselves. In addition, there is an interracial couple in my family, and though I was a child when they got married, I remember all of the adult conversations swirling above my head, some for and some against. B2M: Would you say it is your intention to craft stories from another realm that factor in how similar we all are regardless of our racial backgrounds? KATHY: Yes, I did do that in this story. I do think we are all similar, though our racial backgrounds have created cultural differences. Our history, however, has created more profound differences, which we have yet to overcome. B2M: Do you identify with any particular character in your book? B2M: What has been the most fascinating thing that you have learned about the writing process? KATHY: The most fascinating thing I've learned about the writing process is that I actually like it. Until about five years ago, I was under the impression I hated writing, probably because of all of those term papers in school. A friend thought I'd be good at it because I've always been a great storyteller, I love words, and I have a wild and weird imagination. I thought she was crazy before she harassed me to death, and I sat down to write just to get her out of my ear. Low and behold, I discovered I loved it! 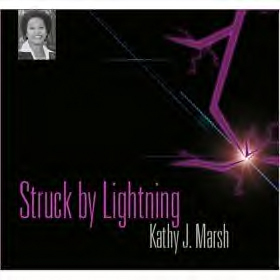 KATHY: Reaching #4 on the Booking Matters bestsellers list has been my career high thus far. B2M: New writers who are just beginning to pen their first novels sometimes find it very difficult to start the process. How do you suggest they begin? B2M: What type of books do you enjoy reading the most? KATHY: I'm an avid reader, and I'll read almost anything, but my favorite genres are paranormal/horror, murder mysteries, romantic suspense, and thrillers-medical, legal, political, or spy. B2M: Do you have a favorite book? If so, what is it? KATHY: I have way too many favorites to choose just one. B2M: Do you have a favorite place to read? KATHY: My two places for reading are my recliner and my bed. B2M: What new surprises can we expect from you next? KATHY: My next book, Suddenly Younger, is about a middle-aged woman who finds that she's suddenly getting younger. As she tries to figure out what's happening with her, and why, I explore feminine ageism. As she gets involved with a much younger man, who just happens to be her doctor, I explore, once again secrets, and the dynamics between an older woman and a younger man. The fact that she's chronologically older, but physically younger, adds a new twist. After Suddenly Younger, since I've gotten many requests, I plan to write a sequel to The Aura of Love. 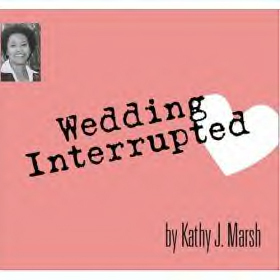 KATHY: Five years from now, I hope readers will be saying, I can't wait for the next Kathy J Marsh book! Kathy we encourage you to continue writing stories that broaden our prospective and facilitate an appreciation for our likeness as human beings.